When S/PDIF became available in the Teensy Audio Library I thought this might be the solution to ground loop problems I’d been having when interfacing projects to my PC. However, I quickly realized I didn’t have any sound cards with an S/PDIF interface. 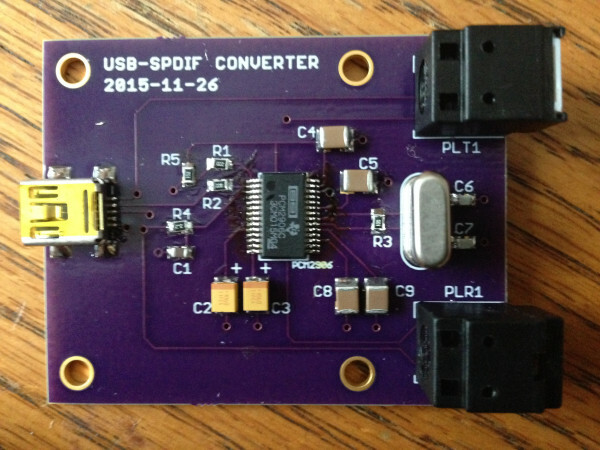 In the belief that I’d rather build than buy I decided to update one of my previous projects, a PCM2904 based sound card, to include an S/PDIF interface. More info at Computer/Electronics Workbench site.